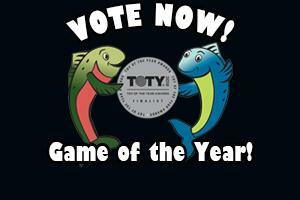 Here at ChiIL Mama, we're happy to partner up with Happy Salmon, Toy of The Year (TOTY) Finalist. They have compensated us for sharing this family card game with our readers and/or provided complimentary samples for review purposes and for our giveaway. 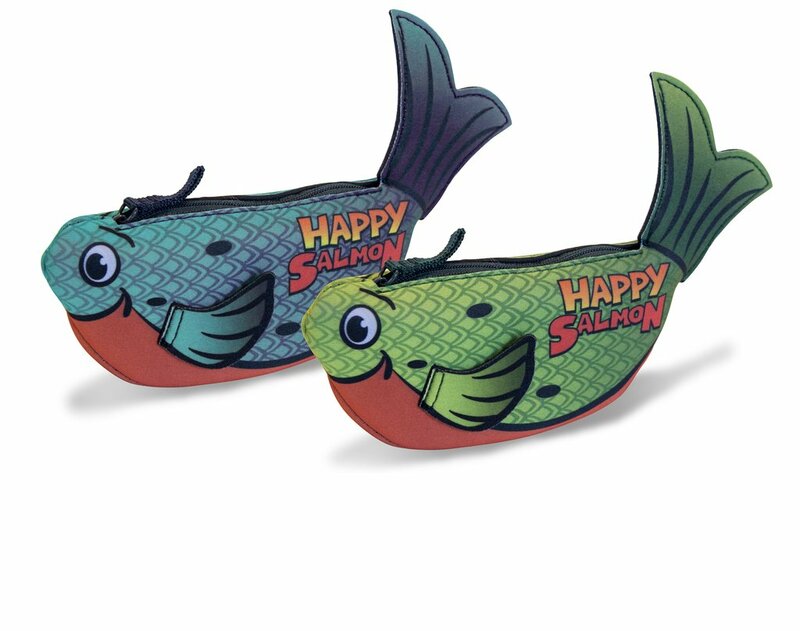 Looking for great stocking stuffer ideas? We're also partnering up with Grandpa Beck's Games. They're offering all of ChiIL Mama's readers a special 10% off discount code on all of their games now through Christmas! Check out using code: chilgame for your Grandpa Beck's Games. Good on an unlimited number of card games that retail for $12.99. The original game (green packaging) was a tremendous success and the follow-up (blue packaging) expands the fun. The blue version utilizes different colors so the two sets can be combined to make one, big, chaotically fun game for 7-12 people! We're still waiting for our review sample to arrive, so we'll be adding more original photos and a full review down the road. In the meantime, we're giving one away to one of our lucky readers, so you can start the new year off with a new fun family game from Northstar Games! 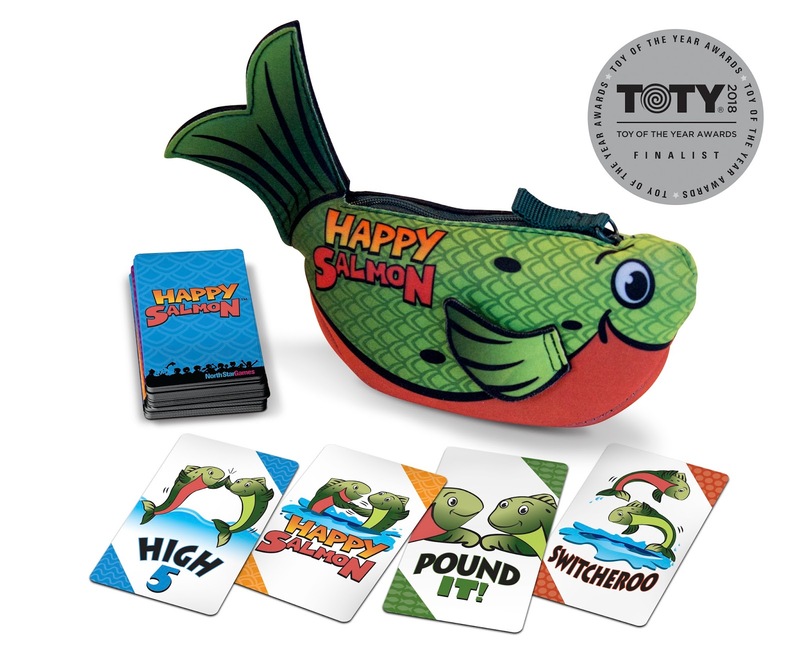 ENTER HERE For Your Chance To WIN a Happy Salmon Game Via ChiIL Mama. Open nationwide/USA. Enter through midnight January 12th, 2018. ChiIL Mama's readers get a special 10% off discount code on all of their games now through Christmas! for your Grandpa Beck's Games discount right here on Amazon. Good on an unlimited number of Grandpa Beck's card games that retail for $12.99. Here's 3 generations of my family having a blast playing Cover Your Assets, Nuts About Mutts and Skull King. On average star ranking on Amazon, of the top 200 family card games, Cover Your Assets had the highest average ranking of 4.89 out of 5 stars! Disclosure: We were given complimentary review samples and/or compensated for sharing information about these great family games with our readers. As always, all opinions, photos, and family game adventures are our own.